Happy Hour specials include 2-4-1 Drinks / Bar Bites menu available. 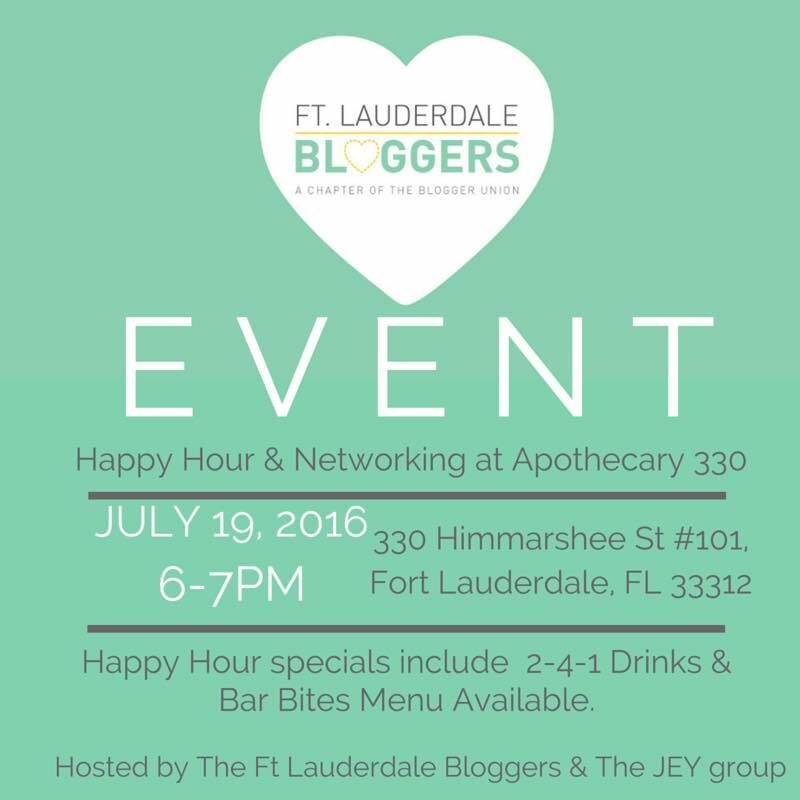 Meet other bloggers, network and enjoy one of Ft. Lauderdales most unique concepts! Thank you JEY Hospitality Group for hosting us!